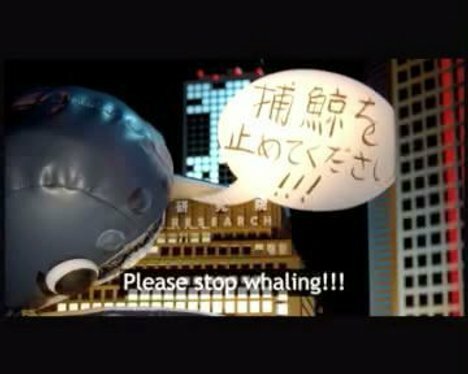 The Whale & Dolphin Conservation Society has collaborated with Plaza Films in Sydney to release ‘Whalezilla’, a web film targeting on whaling aimed at Japanese youth. Borrowing from Japanese Anime and the 1956 Godzilla movie, director and writer Allan Moore presents a scenario in which a Godzilla-sized whale calls for whale research in Tokyo to be re-named Whale Conservation. The Whalezilla film was developed at Plaza Films by director/writer Allan Moore, with director of photography Alex Dufficy, producer Michelle Coassin. Director Allan Moore developed the concept and script and designed the whale costume and set with a nod to Japanese Anime and the iconic clunkiness of the original 1956 Godzilla movie. “I wanted to utilise the stylised cuteness that appeals to the young Japanese, presenting whales with the kindness and intelligence that all marine mammals are renowned for”, he said. Post production was done at Mike Reed & Partners Post Production (MRPPP) by editor Dan Mitchell, and VFX producer Rosana Lepri. Colourist was Scott MacLean at Cutting Edge. Music was composed and performed by Supersonic director Andrew Lancaster and David McCormack.